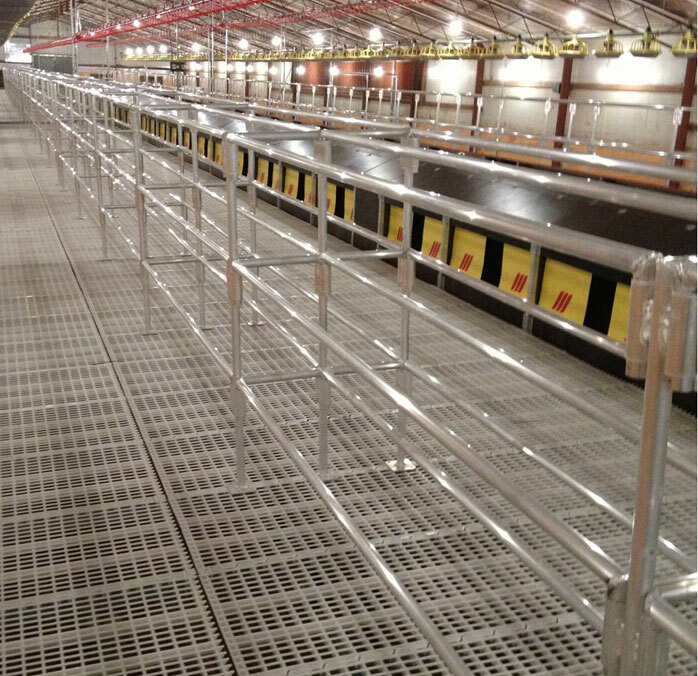 Ullrich Aluminium has worked closely in conjunction with one of Australia’s leading egg producers to develop a superior quality Perching System that will out last and out perform all others. 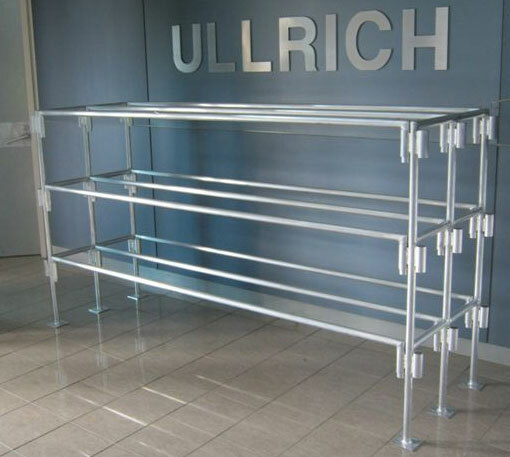 Built to last and to withstand even the harshest of environments, our Perching System is a cut above the rest..
Ullrich chicken perches are made from high strength alloy - there no plastic parts and the system is easily demountablea. 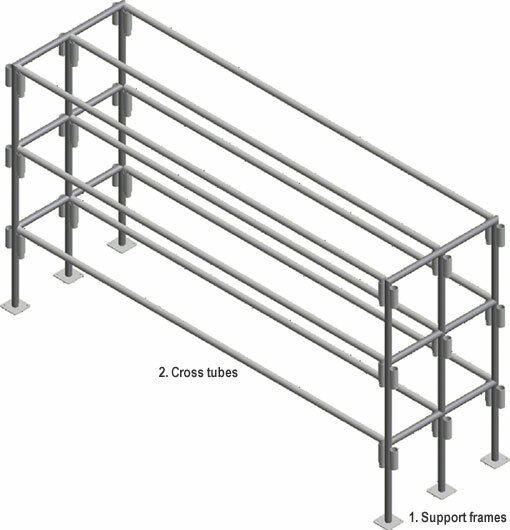 All welded construction and tThey come in 2 parts: support frames (1) and 9 cross tubes (2). Tried and tested in Australia this uniquely designed product is already well accepted by egg producers. Using high strength alloy the 3mm tube support is more than enough to support up to 2.5m in length. Being demountable the product is easy to assemble and disassemble for cleaning. The smooth aluminium surface harbours no bacteria. 100% Aluminium means no maintenance, no rust and no corrosion, andthey can be assembled in minutes.